GO! 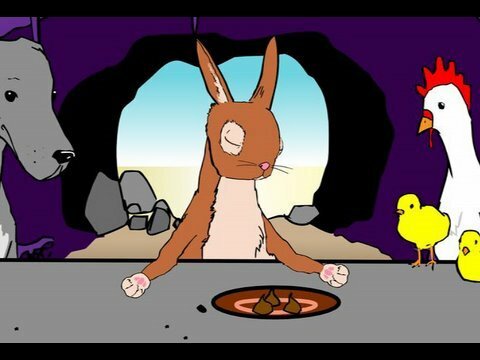 Smell the real story of the Easter bunny! Hi from Dubai – any over dosing on Easter chocolate yet or chasing Easter bunnies as another excuse approaches? Funny or offensive? Chocolate or the rabbit? Easter comments welcomed and what will you be up to? Go! Create your Legacy Using the Daffodil Principle! Arvind here, having just posted on my blog about a woman who spent 50 years creating a field of Daffodils. One day at a time, she created something of extraordinary magnificence, beauty, and inspiration. So if you were to create your own legacy, what would YOU do? And WHEN will you start? GO! Smell the Easter, flowers! While we’re at it click here for some top secret google tricks – give it a GO! More jokes and google tips welcomed here folks and save a bit of that chocolate for us. Cheers! GO! Smell the easter bunny! Any plans for the Easter weekend gang? A high-five for an extended weekend perhaps? Maybe a bunny rap battle? Well worth a watch…..
Do share your easter plans here, legal or otherwise. Are you planning anything Special Over this Easter long Weekend? Well we are planning to eat loads of Chocolate, and sit around all weekend doing not much… that’s Easter…..
For all those looking for something interesting to do this weekend to celebrate here are few ideas…. or you could have a lovely sit down meal with the family…. MANILA (AFP) – Philippine health officials Wednesday warned people taking part in Easter crucifixions and self-flagellation rituals to get a tetanus shot first and sterilise the nails to avoid infections.Every Good Friday in this predominately Roman Catholic Southeast Asian nation dozens of men re-enact the crucifixion of Jesus Christ by having themselves nailed to wooden crosses.At the same time hundreds of others, mostly men, strip to the waist and whip themselves until their backs are cut and bloody as a way of atoning for their sins over the past year. The Catholic church frowns upon the crucifixions and self flagellations which have become a tourist attraction in a number of towns around the country. Well Derrrr! of cause its bad for your health …. didn’t help Jesus any did it…. So what are planning for this Easter Weekend? A good old fashioned Crucifiction a light whipping anyone or sitting down with the family for a friendly chocolate driven lunch? GO! Watch the Dubai Easter warning! Please note that effective Friday 14/3/08, all those visiting Jebel Ali / Dubai Churches are not allowed to park the cars near the church. There is a special arrangement close to the churches and from there you can either walk it out to church or there are regular RTA special buses picking you up from the parking area and dropping you to the church and vice-versa. This arrangement is through the Holy week right up to Easter Sunday. There are police and transport officials directing you to the parking lots. The buses are very convenient and a whole lot of them every 2-5 mins leaving from the parking lot and taking you to church. At the church entrance there is a security screening of each and every person entering the church premises (Male or Female). In view of the huge crowd for the Holy week services, it better to leave a little early to get to church on time on account of the above security arrangements. Please pass it on to everyone you think will be attending church services at Jebel Ali/Dubai. And let us co-operate with Dubai Police regarding these security arrangements. Should the church goers of Dubai be concerned as the email spreads throughout the inboxes of the UAE? Do tell! GO! Win the Easter flowers! Good luck folks and while you’re waiting for the flower smelling winner to be revealed feel free to send your Easter flowers right here, right now!